Fred Brander begins his discussion of the Los Olivos District not by reeling off statistics or carting out maps, but by walking out of his cellar with 4 bottles. 2 are unlabeled, 2 are in brown bags. Brander comments as he pours a first taste from one of the bags, “This is a producer I really admire… I think it’s a good example of someone making more balanced Cab here in California.” Its notes of cedar, ripe blackcurrant, and cassis, along with a prominent signature of American oak, place it squarely in Califonia; it turns out to be Ridge’s iconic estate bottling from Monte Bello Vineyard. Next he pours the two shiners: one is a barrel sample of his young vine Cab, meticulously planted 5 years ago with an incredible array of rootstocks and clones (12 combinations in total); the other is a barrel sample of his old vine Cab, own-rooted, planted in the mid ‘70s. Though young, there is already an intense, gravel minerality to both, along with all that exuberant young fruit. He proudly informs me that the alcohols are in the mid to low 13s. We finish with the other brown bag, which has harder tannins, just-ripe plum, and a finish filled with notes of sharpened pencil. We are clearly in Bordeaux here (it turns out to be a Pessac-Leognan from Chateau Haut-Bergey), though the leap from the Santa Cruz Mountains or the Los Olivos District to the Old World is, refreshingly, not a huge one. His point is clear: this area is capable of site driven, balanced wines that can stand toe to toe with the benchmarks of the world. While Sauvignon Blanc in a more precise style may be a defining expression for the AVA, for the most part the area’s varietal identity is still being sussed out. “Rhone and Bordeaux varieties are certainly the two main groups that are planted, along with some Spanish and Italian varieties, and I think all of those have been successful,” says Brander. “I’ve even tasted some Rieslings and Pinot Grigios that have been very good. Chardonnay can also be viable in a style reminiscent of classic Napa, picked early with blocked malo.” For my palate, which leans unabashedly Eurocentric, I find particular interest in the Bordeaux and Italian varieties coming from the District. There is a freshness and balance in these wines, be it Cabernet Sauvignon or Sangiovese, which is distinctive and highly mineral, with a different character than that found in Happy Canyon or Ballard Canyon. The Los Olivos District AVA is currently in the process of establishing its growers’ alliance, an important step for solidifying the community that will advocate for this region on a large scale. 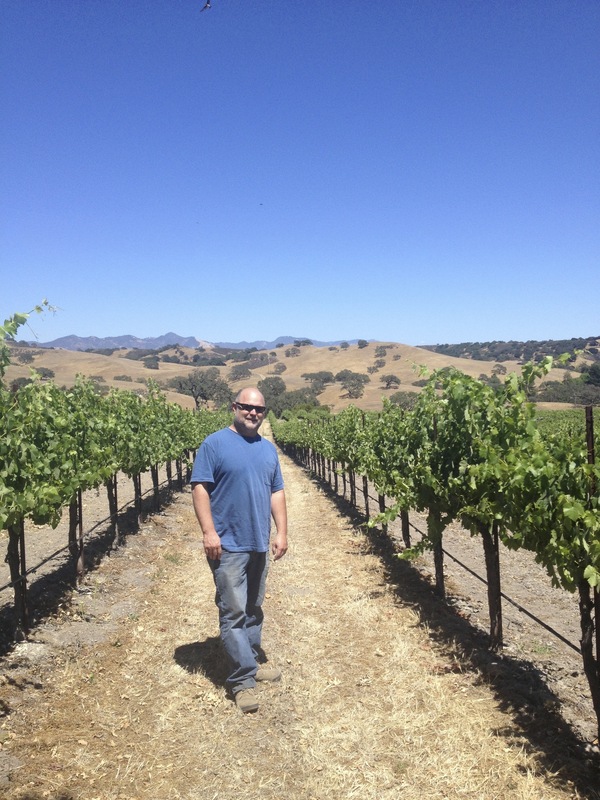 “The AVA has the greatest number of wineries, i.e. winemaking facilities, within an AVA within Santa Barbara County. We also have the history: the earliest vineyards were planted within the boundaries of the AVA, and we also have Ballard as the first township in the Valley, along with Santa Ynez, Los Olivos, and Solvang. 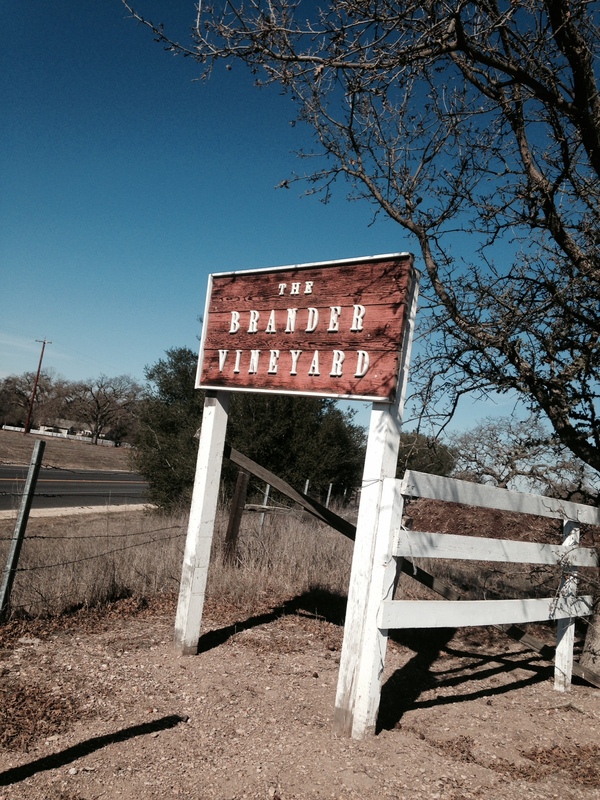 It’s more reminiscent of Europe’s appellation model where you have little towns inside them.” Brander goes on to share that the next step in the AVA process is for the petition to come up for public comment, which will likely occur this summer. If all goes according to plan, it should be finalized and approved by the end of 2014. Santa Barbara County has seen an explosion of AVAs in the last 10 years, though unlike many areas established through the AVA system, which seem to have marketing as their raison d’etre, the division of our growing region has been firmly rooted in science and site character, with the goal of giving consumers an idea of the style and sense of place in the bottle. 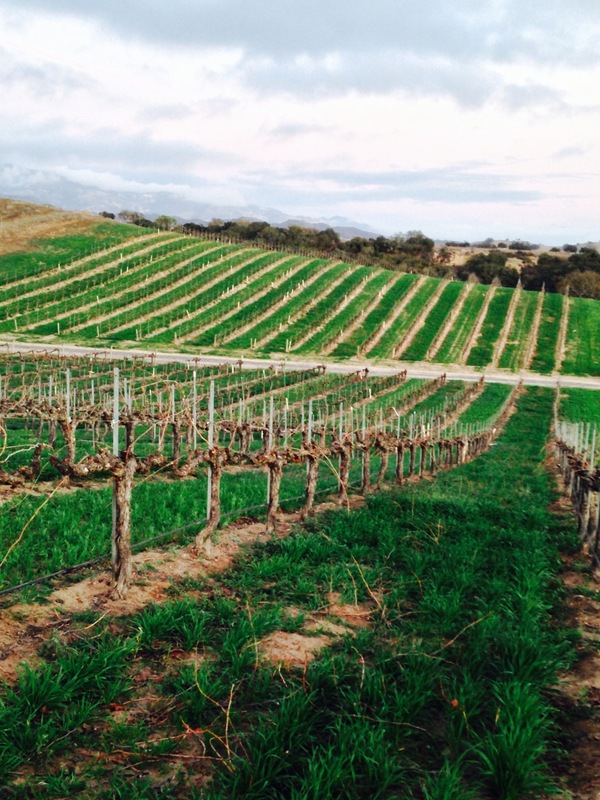 “If we can subdivide the Santa Ynez Valley into the AVAs needed to fill out the puzzle, I think it’s better off for the consumer,” says Brander. “Besides this AVA, we need AVAs to demarcate the areas north of us, like Foxen Canyon and Los Alamos. But I think we’re certainly advancing the ball more than we were 15 or 20 years ago.” The Los Olivos District certainly has my vote, and I look forward to seeing the further discovery and refinement of this AVA in the coming decades. 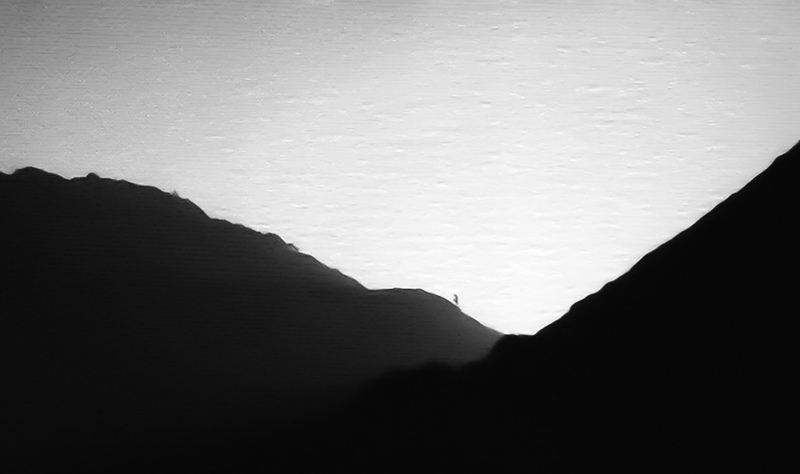 It was nearing dusk when I met Ryan Roark on Zaca Station Rd. “Follow me…”, and up a winding gravel road we went, deep into the Firestone property. 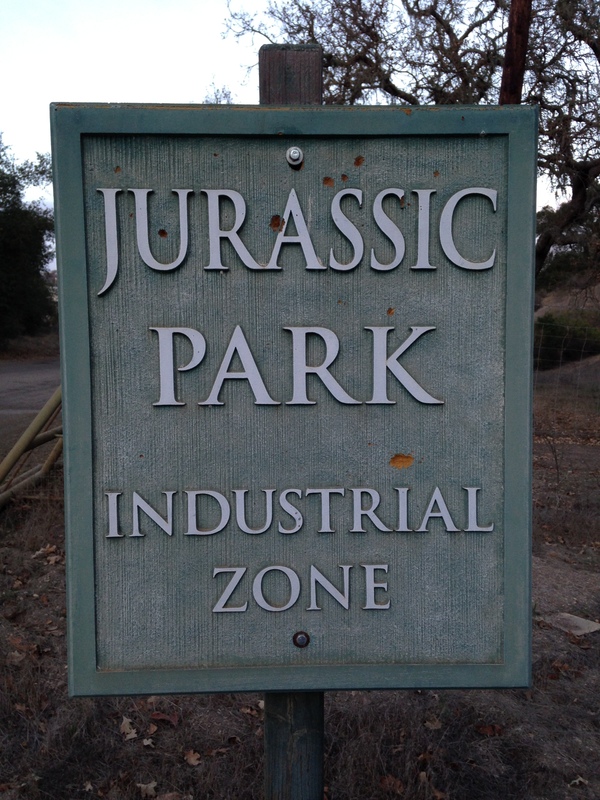 As the road turned to dirt, we passed a simple wooden sign: “Jurassic Park Industrial Complex”. Rolling slowly past oil derricks, around a bend in the road, we finally came upon the dramatic hillsides of one of Santa Barbara County’s hidden gems: Jurassic Park’s old vine Chenin Blanc. In my mind I had imagined this place to be flat; for a commercially challenging grape like Chenin Blanc to survive so long here, I figured it must come from land no one prized all that highly. 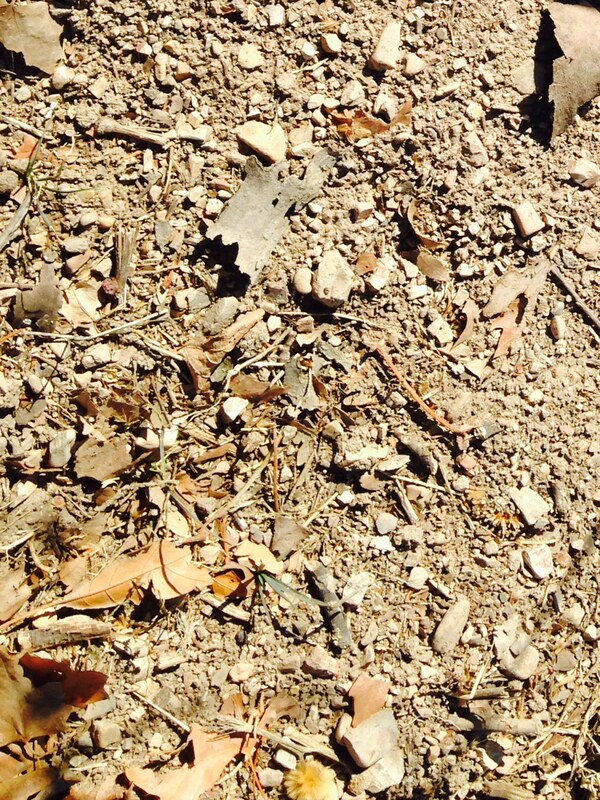 What I discovered instead was steep slopes and intriguing soils. The fact that this hadn’t been grafted over to one of Foxen Canyon’s more prized grapes, like Syrah or Grenache, was proof that someone saw something very special in these vines. As it turns out, Firestone had kept this fruit alive as a blending component for their program through the years. It really wasn’t until 2008, 26 years after it was planted, that a critical mass of winemakers suddenly started clamoring for this fruit. I recently spoke with several of the producers crafting Chenin Blanc from this site about the different approaches and influences each brings to his expression, and felt the palpable excitement for Jurassic Park. “I make this wine as an homage to my grandparents; they loved wines from the Loire,” says Habit’s Jeff Fischer. Planted in 1982 by legendary farmer Jeff Newton (Coastal Vineyard Care), on its own roots, these vines thrive in the sand and sandstone (Arnold series to be exact) that make this vineyard so distinct. Walking the rows, I observed distinct soil differences between the western and eastern sides (separated by a dirt road in the center). 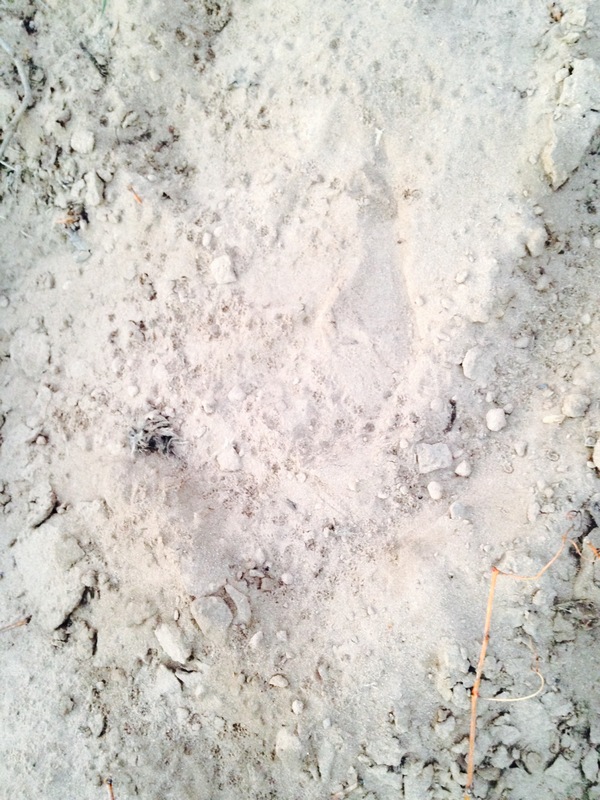 The Western half appears to be more purely sand; walking up these steep inclines after a recent rain, my shoes continually sunk several inches into the soil. The Eastern half, while still very sandy, had much more apparent chunks of sandstone, rockier in general, with perhaps a bit more loam. “There are definitely some soil differences,” says Roark, “though I don’t know if they’re necessarily that apparent in the wine.” Indeed, the aromatic profile of Chenin here seems to share a common thread among these producers, with their own personal stylistic choices creating the major differences. For his Habit wines, Jeff Fischer strives to capture the minerality of Jurassic Park: “I love the high acidity, and like to pick on the early side. I have been making it entirely in stainless steel, fermenting cold, and aging on the lees.” This comes across in the wine, which marries the weight and aromatics of lees contact with beautiful salinity and very precise, just-ripe fruit character. There’s a varietal and site-driven profile in his wine that reminds me of the drier expressions of the grape from Vouvray or Montlouis. Fischer has worked alongside Ernst Storm, winemaker for Curtis, for his first few harvests, and says he has been inspired by Ernst’s history with the grape. Ryan Roark built his label around the Chenin Blanc from Jurassic Park, discovering it while working at nearby Andrew Murray, and seems to have undergone the most radical shift in his winemaking approach of all the producers I spoke with. Inspired by time spent working in the Loire Valley, Roark’s style has moved closer and closer to his greatest source of inspiration, Savennieres. Savennieres, whose wines are frequently (and positively) described as smelling of wet wool and cheese rind, produces incredibly distinctive and long-lived Chenin. To achieve an expression of the grape that hews more closely to this influence, Roark has moved to neutral barrel for aging. Sulfur is utilized only when absolutely necessary, fermentations are performed by indigenous yeast, malolactic fermentation is allowed to occur, and there is great acceptance and encouragement of microbial development. His 2012 was the first wine to prominently showcase this shift, and his 2013 in barrel really displays the cheese rind/wool aromatics of great Chenin. 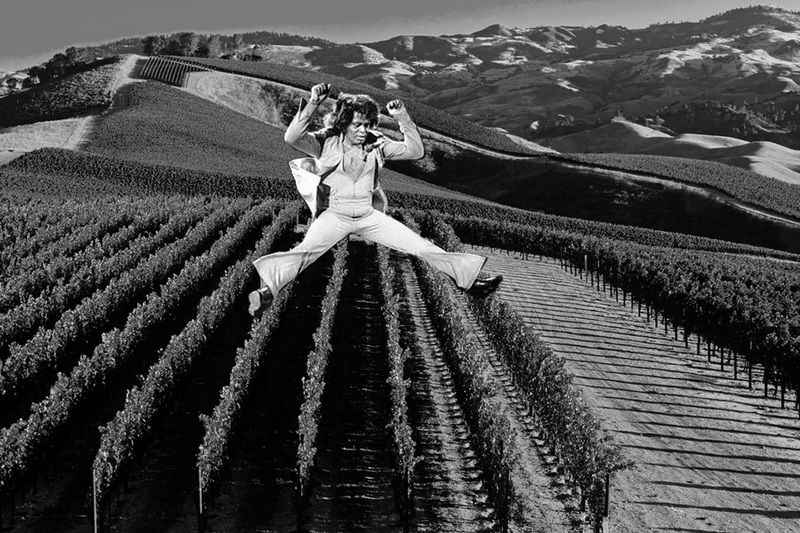 Mike Roth, who recently left his post at Martian Ranch to launch his own label Lo-Fi, also derives inspiration from Savennieres. His Chenin captures this richer, powerful expression of place with those same intriguing non-fruit characteristics. While the argument could be made that these renditions are more style-driven, I still find the same thread of minerality and sense of place in these wines, channeling a different facet of site that is still unmistakable. “I think I pick Chenin riper than anyone out there, probably a week later than everyone else.” This is how Nick DeLuca begins his discussion of the Chenin Blanc he crafts for his Ground Effect label. Granted, in this case, ‘ripe’ is only 22.8 brix, with intense acid. DeLuca also takes the unique approach of blending his Chenin Blanc, typically with nontraditional grapes, giving it the proprietary name ‘Gravity Check’. His 2010 saw it joined to Viognier from elsewhere on the Curtis property. The 2011 was accompanied by Pinot Gris and Albariño from Edna Valley’s Paragon Vineyard. And the 2012, his best yet, marries 87% Chenin Blanc with 13% Riesling from Area 51, another vineyard on the Curtis property. Yet it is the Chenin in each vintage that has been dominant and readily apparent, its intense minerality being framed by the various accompanying grapes. “There’s an earthiness to Jurassic Chenin, and it really comes out as the wine ages. I opened up a 2010 a couple weeks ago, and it’s roasted without being roasty.” Nick elaborates further that this roasted character is along the lines of hickory or BBQ smoke. Other producers I spoke with identified the minerality here as being like sea salt or saline. Without a doubt there is that oceanic influence in the wines, whether it is the roasted, almost peaty character that comes out with age, or the more precise, inorganic earth of young releases. However one wants to describe it, this is the mark of a great site, where the soil and climate speak clearly through whatever stylistic choices a winemaker chooses to make. Time will only tell if these wines will make old bones, but given the overwhelming passion devoted to the site and how to best express it, I have no doubt we’ll be happily sipping 2013 Jurassic Park Chenin Blanc in 2030, reminiscing about simpler times, savoring this time capsule in a glass. What spurs our obscure obsessions as wine lovers? How does a grape like Melon de Bourgogne or Carignan capture our attention through the sea of Chardonnay and Cabernet Sauvignon? What drives a vineyard owner to plant Blaufrankisch in the middle of Los Olivos, or a winemaker to devote fanatical attention to a grape like Picpoul? Much like falling in love with another human being, falling in love with a grape often has an intangible, probably chemical, element that can be difficult to articulate. To delve further into one of my own obsessions, Semillon, I spoke to my favorite producer of the grape in Santa Barbara County. 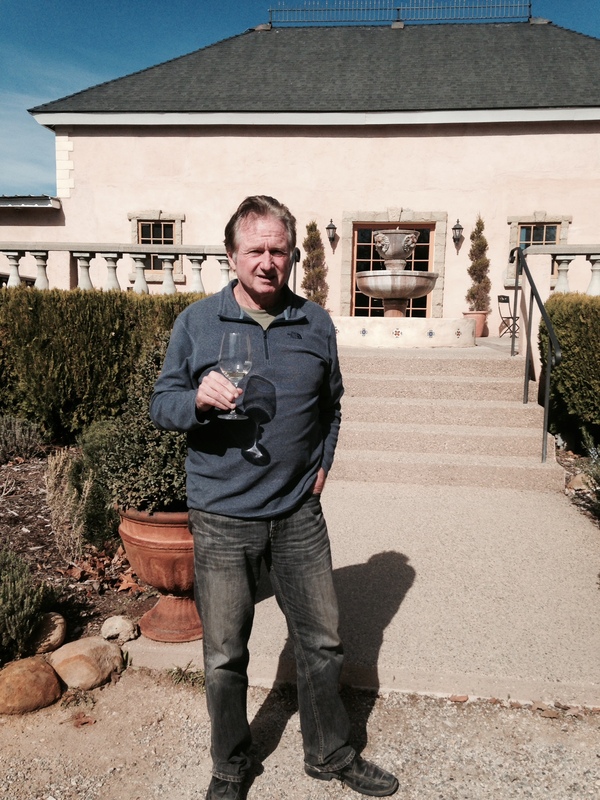 Kevin Law is a soft-spoken winemaker who bucks the trend of modern winemaking promotion. He spends no time on Facebook or Twitter, and rather than talk up his achievements, he is constantly pushing himself to do better, never satisfied, knowing he can create something with even greater intensity and site expression, that he can dial in the next vintage just slightly more. To provide full disclosure, Kevin has been a good friend of mine since we worked a harvest together 6 years ago, and I’m always stunned that someone who is crafting such beautiful wines isn’t content or resting on his laurels. I sat down and spoke with Kevin this past week about his Semillon program under the Luceant and Luminesce labels (the name changed to Luceant with the 2012 harvest due to a trademark dispute with another winery), and how his obsessive love for this grape, and the best way to express it, drove him to craft one of the great white wines of Santa Barbara County. In an all too common tale for Semillon, Buttonwood grafted these blocks over to other grape varieties recently, and what little they have left will remain for their estate. This is the tragedy and difficulty of working with obscure varieties like these as a small producer; unless a farmer is madly in love with the grape, it’s just too tempting to plant something more commercially viable in its place. Kevin is now on the quest for a new Semillon site, and has some pretty specific criteria. 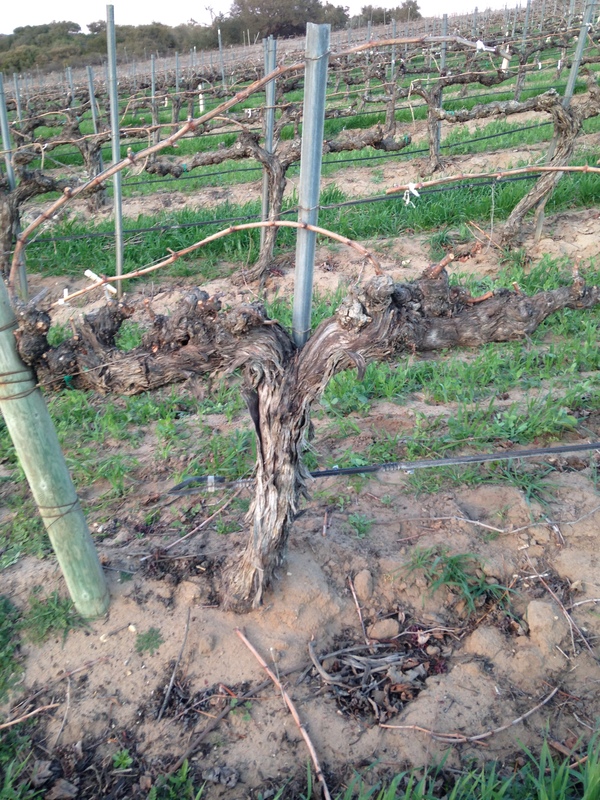 “Old vines are a huge factor for me. Vineyards that are reminiscent of Bordeaux tend to be ideal- gravel with a little bit of alluvium, and moderately warm. 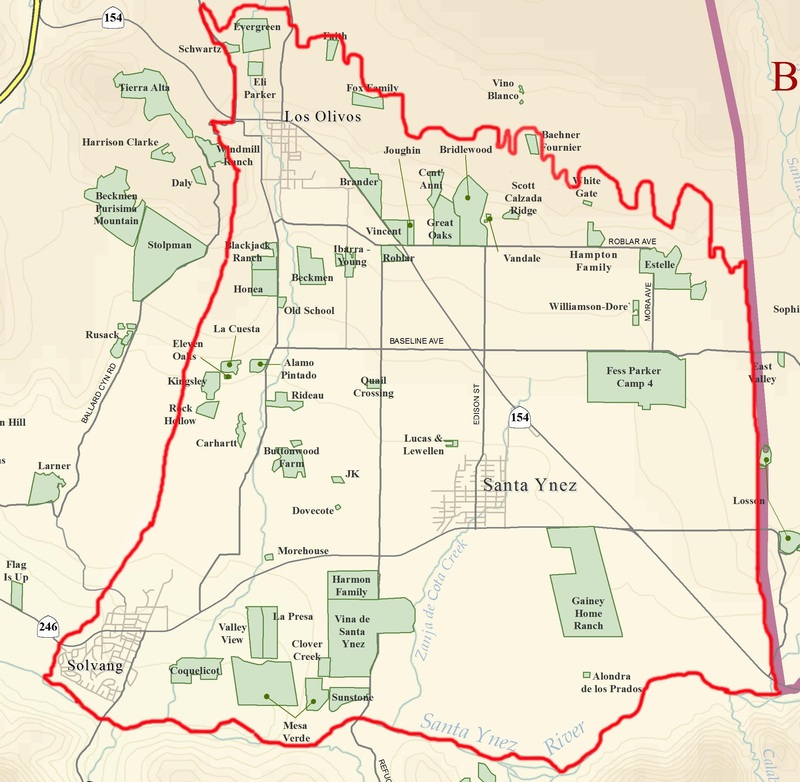 Santa Ynez, particularly the middle to eastern part of the valley, is one of the perfect areas in California for Semillon. My goal is to continue to capture the true expression of 100% Semillon, and show how great this variety can be. And if no one likes it I’ll drink it all myself.” Now THAT is what I call obsession. Today we are offering Kevin’s 2011 Semillon. It is one of the most profound wines I’ve had from our area, and if you are a fan of mineral, balanced, age-worthy white wines, I highly suggest you grab a couple- one for today, and one for the cellar. I have no doubt that this will be a 10 year, if not 20 year, wine. If nothing else, I hope people taste the beauty in this bottle and start requesting more wines like it; maybe we’ll finally see a few new Semillon plantings! I vividly remember the first time I tasted a Happy Canyon Sauvignon Blanc. It was 2008, on a breezy Sta. Rita Hills afternoon, in the Dierberg tasting room. In my narrow-minded view at the time, I was more interested in checking out their Pinots; my affection for Sauvignon Blanc was reserved almost entirely for Sancerre and Pouilly-Fumé. The tasting began with a Sauvignon Blanc from their Star Lane Estate, which I was expecting to be, like so many California Sauvignon Blancs, pleasant but no more. Sticking my nose in the glass, however, was a whiplash-inducing double take experience. Exotic tropical fruits (guava, papaya); a distinctive herbal character (Shiso leaf perhaps? ); flowers galore; acid for days; yet underneath all of this exuberant varietal and climate-induced character was a mineral presence I had never experienced in New World Sauvignon Blanc. Their tasting notes referred to it as “wet gravel.” Yeah, sure, that was there, but it went deeper. This was wild, animal, and primal. As with all great wines, it was clear this came from a special place. Soon after, I took a drive out on Happy Canyon Road, spying the great, dramatic vineyards of this place from afar: Vogelzang, Happy Canyon Vineyard, Westerly (now McGinley), and of course, Star Lane. Further research showed the source of this unique character: ancient, magnesium-rich serpentine soils laced with chert. Since that first encounter I’ve tasted numerous Sauvignon Blancs from Happy Canyon, and have found this mineral presence, in greater or lesser amounts, in just about every wine. There have been some truly stellar examples from the area that showcase this site character, and I am amazed at the quality coming out of such a young region (20 years is “old vines” here). Yet the most exciting thing about Happy Canyon is that no one has really nailed it yet. And to be present in the midst of so much experimentation, so much adventurousness, devoted to this tiny region, is truly thrilling. One school of thought seems to favor treating the area like the Loire Valley, picking early, emphasizing the high acid (for the geeks: even at very high brix, pH can still be 3.1 or 3.2 here), showcasing that minerality, putting the tropical fruit character in the background, and using neutral or no oak. Producers such as Lieu Dit, Ojai, and Habit are crafting wines of incredible purity, laced with that HC funk and structured for mid-term aging. Another approach is to take cues from Bordeaux Blanc, utilizing barrel fermentation and aging, often with a fair amount of new wood, later/riper picking, and even incorporating a bit of Semillon into the mix. These wines are lush and lavish, typically needing bottle age to shed the more overt wood and get to the mineral core. Dragonette’s bottlings, particularly their Vogelzang Vineyard, are beautiful iterations of the style. Doug Margerum’s small production “D” and Fiddlehead’s various cuvees are other powerful examples. Aged bottles from these producers show style married to site in distinctive fashion. Perhaps the most exciting for me are those taking a uniquely Californian approach: influences from the Loire, Bordeaux, and Marlborough, along with a Friulian/Slovenian inspiration in the form of skin contact and/or fermentation, joined to other subtle techniques borrowed or dreamt. This is a style that has a high degree of difficulty, but the risks are rewarded in the form of incredibly complex wines. Star Lane is one of my personal favorites in this genre: they vary their skin contact dependent on the vintage; wines are sometimes fermented in oak, sometimes not; stainless steel is utilized in the form of both barrels and large tanks; lees are occassionally stirred; basically a melting pot to capture every possible facet of this site in a cohesive package. In each vintage since I initially tried their estate Sauvignon Blanc, they have tinkered with their approach, with each year further amplifying the intense serpentine funk of this very special place. The other practitioner of this style that I am greatly anticipating is Roark. Ryan Roark received Happy Canyon Sauv Blanc for the first time in 2013, and had the opportunity to do a couple of different picks. I recently tasted these with Ryan out of barrel, and was blown away. One selection, picked early for acid and intensity, and aging as we speak in neutral oak, showcases the wet stone minerality and herbal/floral character capable here. The other selection gave me goosebumps: fully skin fermented, it didn’t show the sameness that can often occur with skin fermented whites; rather, this magnified that primal funk with amazing power and weight, like someone crafted a cocktail from rocks and guava. If he can get the marriage of these two picks into the bottle with that same intensity, it may very well be a benchmark for the area. If you have not experienced a Happy Canyon Sauvignon Blanc, run to your nearest wine shop and start exploring, as these are some of the most visceral, exhilarating wines coming out of California right now. For me, this is the essence of everything great about New World wine culture: a new region, still being discovered, capable of delivering an experience found nowhere else in the world. The recent passing of Lou Reed hit me hard. As a teenager growing up in sleepy Santa Maria, the world created by The Velvet Underground transported me to a place far removed from the sprawling broccoli and strawberry fields of the valley. Characters from Andy Warhol’s Factory and New York’s seedy late ‘60s underground were vividly captured by Reed, evoking a time and place that, 45 years later, still feels timeless. This loss of a hero got me to thinking about wine (all roads seem to lead me there nowadays). As an adult, I have often found this same transformative experience through great wine bottles. Unlike The Velvet Underground & Nico, however, which will sound exactly the same 100 years from now, wine, no matter how great the vintage or producer, is finite by its very nature, prone to inevitable decay. The memory of a great bottle is persistent and haunting because we know we will never have quite that same experience again. So for those whose art is wine, how does one find the same sense of immortality allowed through the mediums of film, painting, or music? In the Old World, it is the site, the terroir, which is prized above all else. Each successive generation is passed the torch of great land, from Romanee-Conti to Clos de la Coulee de Serrant. Yet it is the human element that must channel Mother Nature and define the voice of a given place in a lifetime; as the vineyard passes from one generation to the next, so too an inevitable stylistic shift happens. In the New World, on the other hand, we often place the human element above all else. Technical innovations and stylistic touches often trump the expression of site, for better or worse. The greatest practitioners of this style focus less on sense of place and more on sense of self, driving so intently toward a personal vision that they capture something utterly unique. The greatest wines and winemakers of the world, however, be they from France or Germany, Oregon or California, manage to marry these two philosophies; they showcase a special place while putting their own personal, inimitable stamp on it. One such winemaker that I had the chance to share a table (and more than a few bottles) with numerous times this past harvest is Lane Tanner. Lane retired her namesake label with the 2009 harvest; she still consults here and there, but she is, essentially, done with full time winemaking. Unlike the typical scenario in Europe, there is no scion to carry on her namesake; all we have left is the string of superb vintages she crafted from 1984-2009. These wines, whether from consumption or from decay, will eventually disappear, leaving only the memories they created and the imprint of their influence. Rather than dwell on this unfortunate fact of wine, however, I’ve begun to embrace the unique beauty in its life and death cycle. 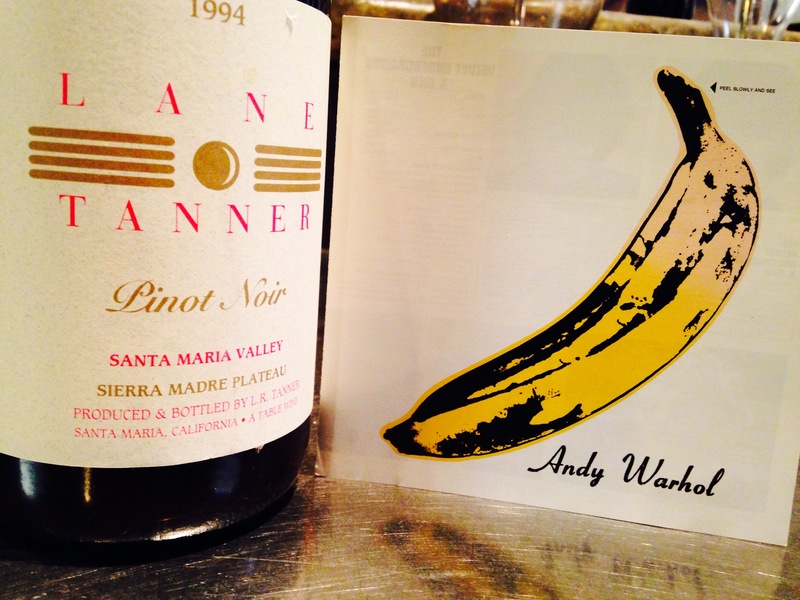 The fact that I am alive to enjoy these wines in their prime (her ’90 Sierra Madre was a transcendent experience), to learn the farming and winemaking lessons that Lane has been gracious enough to pass on, to have a hero from my hometown; these are things to celebrate. Perhaps it’s fitting that, here in the Wild West, our vinous heroes ride off into the sunset. And maybe one of wine’s greatest qualities is its fleeting nature: it forces us to be present in the moment, to embrace those sharing a table with us, and to stop and appreciate something beautiful. So as you pop a bottle of Lane Tanner’s ’94 Sierra Madre Plateau, and cue up “Sunday Morning” on the stereo, take a moment to appreciate the unique, and ephemeral, beauty of the experience; ‘cause when it’s gone, it’s gone. Working with wine on a daily basis, it’s easy to become cynical: Tales of wineries heavily adulterating their wine after claiming it to be “unmanipulated and hands-off”; cookie-cutter wines crafted with sleight-of-hand rather than sweat and intuition; the feeling that it’s all been tasted, that it’s all been done before. But there is hope. Inspired by the ghosts of California’s reputation-making icons from the 60s, 70s, and 80s, Europe’s embrace of balance and terroir, and their own desire to craft something utterly unique to this time and place, there is a new group of rebellious, restlessly inventive Californian winemakers working at the edge of sanity to create something distinctive and enduring, something to call their own. Among the most exciting of this new crop on the Central Coast is J. Brix. I had the pleasure of meeting the husband and wife team behind J. Brix, Emily and Jody, back in 2008, when they were first delving into their own garage-based winemaking endeavors. They have grown exponentially since then, and are now crafting some of the most expressive, pure wines of place in Santa Barbara County (and a little bit from their home base of San Diego too!). I spoke with Emily via email about their philosophy on wine, their plans for the future, and more. Cameron: Having two winemakers involved in a project is difficult enough, but you have the added element of being husband and wife. How does this affect your project and the decision-making process? C: How do you feel about being classified as “natural” winemakers? What does natural wine mean to you? JBrix: We approach winemaking as we do life, seeking and finding pleasure in simplicity. We taste a clarity in wine made from healthy fruit, grown in the right place, and guided in the cellar without unnecessary manipulation. We hope to hear the voice of the vineyard in the finished wine. For us, the best way to facilitate that is to work with well-tended fruit; pick it at the right time; listen to what it has to say throughout the fermentation and aging process; and respond accordingly. C: What do you look for in a vineyard? Do you start with a desired soil/climate and then see what’s planted, or do you seek out specific grape varieties? JBrix: The first thing we look for in a vineyard, whether we’ve sought it out because we’re looking for a specific variety, or because we’ve tasted a wine from there that we loved, is an unquantifiable stirring. It feels like when you first meet someone and instantly connect; you can tell you’re going to be dear friends with that person, even though you haven’t gotten to know one another yet at all. When that happens for us at a particular vineyard site, we just need to make wine from there. For example, we never thought we’d be making Pinot Gris – but when we went to Kick On in search of Riesling, we fell in love at first sight, and we wanted everything they grew. We now make vineyard-designate Pinot Noir and Pinot Gris from the vineyard, in addition to our Riesling (which is coming in crown-capped Petillant Naturel and traditional versions in 2013!). C: What are your thoughts on Riesling in California? Where do you see the future of this grape going in the state in general, and SB County specifically? JBrix: We could not be happier to be making Riesling from what we suspect is the perfect place in California for it to grow – Kick On Ranch in Los Alamos. We can thank Adam Tolmach of The Ojai Vineyard for making the Kick On Ranch Riesling that inspired our then six-year-old son to declare it “better than ice cream,” which set us on a quest to discover the place from which it came. Will there be a huge resurgence of Riesling in California? Probably not. It’s definitely not a workhorse grape. It’s a bit of a finicky variety to grow, and very climate-specific, if it’s going to be grown well. 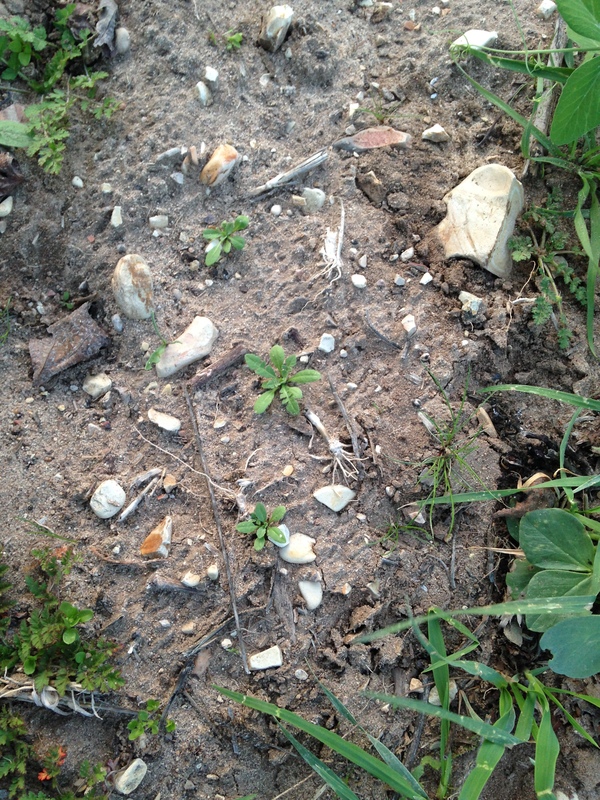 But, if the soil and the climate in the vineyard are right, we’d be happy to see more. C: How has your winemaking changed over the years as you’ve had the opportunity to work with some of these sites, such as Santa Barbara Highlands or Kick On, for a few vintages? JBrix: It’s so amazing to get to know these places better every year, and to see how they respond to all the facets of the different growing seasons. One of the most fun things about making wine is that it’s really a year’s worth of events that contribute to the decisions you make once the fruit is picked, and if we stay attuned to what’s going on in the vineyards all year, there usually isn’t much hand-wringing at harvest. We handle things differently from year to year based on what nature brings us, and each season offers more insight into the ways of each vineyard. C: Where do you think the potential lies in San Diego as far as sites/growing regions/grape varieties? JBrix: San Diego’s wine identity is still up for grabs, and our cellarmates Chris Broomell and Alysha Stehly of Vesper Vineyards are pioneering the new winegrowing movement. Chris is a sought-after vineyard consultant these days, and he’s made a conscious decision to bring the whole Rhône catalog to new area vineyards – everything from Picpoul to Terret Noir. Most of these plantings aren’t old enough to harvest yet, but we are looking forward to seeing it happen, and tasting the results, in the years to come. C: What are the wines that inspire you? Have there been any particular producers or bottlings you’ve modeled your various wines after? JBrix: We love wines that instantly allow us to understand something about the place they were made. We always enjoy drinking wines made by people we know and respect, and those they recommend. We are fortunate to be represented on the West and East Coasts by two distributors (Amy Atwood and Zev Rovine) who bring in some very exciting small-production wines from Europe, Italy and Australia, so several of those are on our radar right now. The only wine we’ve made that’s strictly modeled on a particular style is the Pinot Gris we fermented and aged in a beeswax-lined clay pot, after the kvevri wines of the Republic of Georgia. Our first vintage, the 2012, is yet to be released, and we did it again in 2013. C: What mark do you hope to leave on the landscape of wine? What would you like for the J. Brix legacy to be? JBrix: “Legacy” is an amusing word to ponder at the moment, as we’re still trying to teach our children to turn out the lights after they’ve left the bathroom. This project, though, is more than the two of us and our ideas. It has its own soul. It arose from an undeniable impulse; one that we didn’t see coming until it chose us. It came from something true and real, and that is all we want for our wines: that they are true, and that they are real. In the end, our legacy, our lifetime, is the sum of our stories. We are compelled to tell the stories of these seasons, transmitted through these vineyards. To do so honestly is our highest goal. Interested in checking out our wines? “This is a wonderful Pinot Noir, it’s very Burgundian”… “I think you’ll really enjoy this Syrah, it’s a dead ringer for something from the Northern Rhone”… “Their Chardonnay is beautiful, it drinks just like a great Chablis”. We’ve all heard these comments (and I’m certainly guilty of uttering them) in regards to Californian wines. It’s almost as if the greatest compliment we can pay a balanced wine from the New World is that it tastes like something from the Old World. After almost 30 years of high-alcohol, ultra-ripe wines, it’s understandable that those of us championing this return to wines of balance and place would want to connect the dots to Europe’s more classically structured, subdued wines. But if we expect to stand head to head with, rather than on the shoulders of, these old world giants, we have to start proudly owning our unique sense of place. Santa Barbara County, despite its youth, has already carved out numerous small micro-regions with their own distinct site character. Santa Maria Valley, Santa Maria Bench, Los Alamos Valley, Sta. 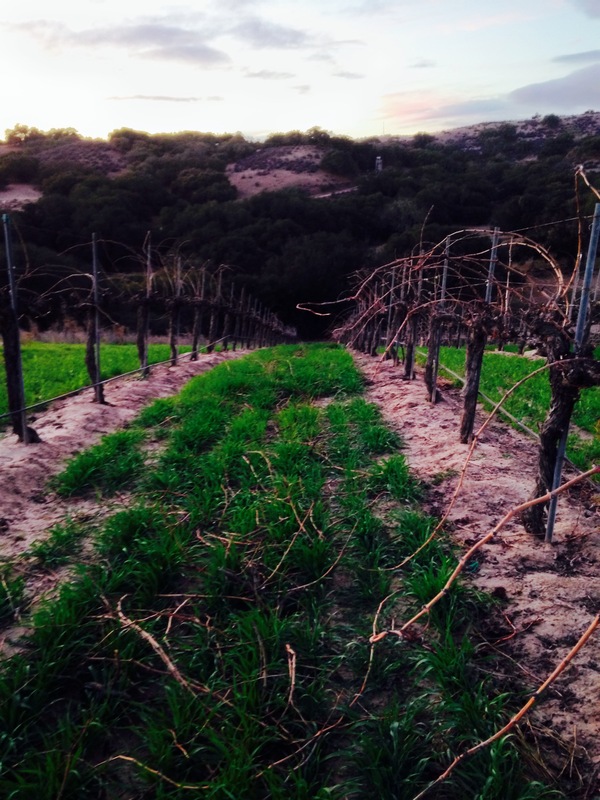 Rita Hills, Happy Canyon of Santa Barbara, Ballard Canyon, and the Los Olivos District all have distinctive soils, macroclimates, and topography found only in this special part of the world, and the producers advocating for these areas, now more than ever, are capturing their idiosyncratic essence. Take Justin Willett. The winemaker behind Tyler, Lieu Dit, and Vallin (does he ever sleep?!?) is crafting wines at refreshingly low alcohols, with a vivid savor of place. While his inspiration comes from Burgundy (Tyler), the Loire (Lieu Dit), and the Northern Rhone (Vallin), the wines could clearly have come from nowhere else but California. The beet root and black pepper of his Bien Nacido Pinot Noir from Santa Maria; the guava, papaya, and musk notes of the Lieu Dit Sauvignon Blanc from Happy Canyon; the lush blueberry and cracked pepper of Vallin’s Santa Ynez Syrah; these are wines that stand on their own as benchmark examples of what our area is capable of. Or sample the Grenache of Angela Osborne. It comes from Santa Barbara Highlands, a vineyard so remote and wild that it feels like stepping onto the moon; 3200 ft. elevation, soils so sandy that they look like a dune, scrub dotting the landscape, snow in the winter. This is a place with real character, from a winemaker who has tapped so deeply into her own wavelength that she’s essentially a genre of one. Tasting this wine, one senses the feral high desert in its origins, the California sunshine, the passion of a woman walking the vinous tightrope with no harness; the essence of what this new movement is all about. And let us not forget our pioneers, the wild ones who started on this path of balance and never strayed from it even when fashion swung away from them. Jim Clendenen of Au Bon Climat; Lane Tanner; Adam Tolmach at Ojai; Stephan Bedford; Fred Brander; they have helped shepherd and inspire this new generation, and are still making beautiful wines, further defining what makes our region so special.